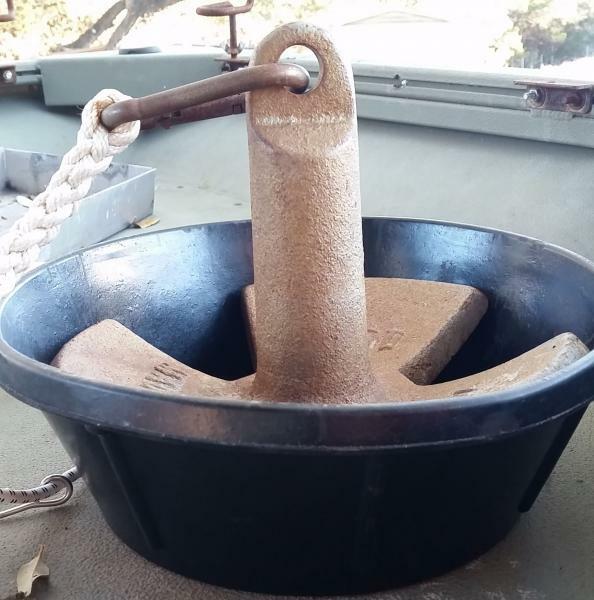 I have to give some credit to the members of this forum, they come up with some cool and inexpensive stuff to fix some very common problems that we have with our small boats like these Low Tech Anchor Solutions. This solution is pure genius. TinBoats member Ebug found a cheap solution to stop his anchor from bouncing around in choppy water! Check out the link and story here. Nice job Ebug! Ive also seen large sponges placed on the deck as an anchor rest. They keep it from shifting around, they absorb water, they can be used to wipe up any muck in the boat, Id call them very low profile and they are uber-cheap.